Though, the strength in your bond does not need any specific time, but the auspicious occasion of Raksha Bandhan brings about a special feeling in your heart. 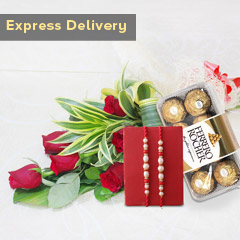 And, you definitely do not want to miss this chance of making your brother feel special. 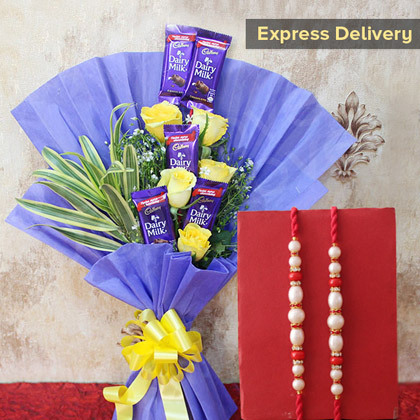 It’s a cautiously designed combo of a bouquet of chocolates and Roses with two beautiful Rakhis, and this will never be a bad choice for the occasion. Hurry to place your order! !